Have you ever wondered why so many seemingly intelligent and "educated" people are so bloody damn "libtarded" at the same time? The most obvious answer to the paradox of high-IQ libtard-savants is that universities, and even High Schools, have become infested with Marxist professors who have mis-educated their students in matters political, moral and cultural. Though certainly true, the psychological roots of the mental disorder of libtardation run much deeper than this superficial intellectual cause. 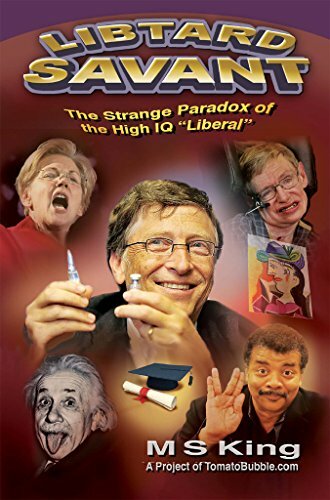 For that special libtard-savant in your life that you have been unable to convert to sanity and common sense, this powerful and funny little booklet will help you to understand the origins and nature of his or her disorder. If you are a libtard-savant yourself, understand that this analysis, in spite of its strong and mocking tone, is written with love -- in the sincere hope that a bit of bitter medicine may shock you back on the road to recovery. I think this book fails to provide us with a complete explanation. Would it be really that simple that privileged students with a complex to please an authoritative figure (teacher's pets), who are also receiving subliminal inoculation with liberal values while studying facts would end up being libtards? I do not think so. I believe there is more to this. These people do not really want to grow up intellectually and accept the complexities, realities and messiness of real world. They believe in and want to live in a fairy tale. They believe in good and evil, the fearless hero and his/her journey arch, the happy end, the love will conquer it all, the Fairy Godmother, the elemental and unquestionable truth dispensed by an all-knowing source. This fairy tale, myth, religion is maintained by the media, the movies and books and "celebrities", "stars", "authorities", "experts", academia, etc. etc. That is, it is not a random event, but a well designed programming process. They are being programmed without ever realizing that there is a programmer. Try to argue with them and it will be a frustrating experience; they work with absolute and unquestionable truths, immunized against any attempt to crack this wall, so the desire to actually, really KNOW, instead of FEEL never wakes up. 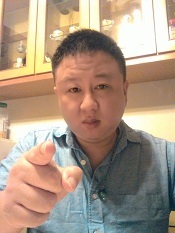 Most bothersome is that there is no true personal development, there is no effort to evolve, but lazy they are to accept and internalize a prefabricated worldview that they never ever realize as potentially alien or harmful. They lovingly embrace the shortcut to being a grownup, while they remain intellectually infant awaiting constant nurturing and affirmative support from the outside. Sort of like a "Manchurian Candidate", stuck in a loop. Just as life generally seems to be a practical joke on me personally it seems that people are writing books off the back of me personally. Maybe I should write a book or something. What about that trashy romance novel you were cooking up a few years back, Corn? They are quintessential useful idiots. by TheLight954 » January 28th, 2018, 2:38 am » in Business, Finance, Taxes, Investments, Cost of Living, etc.